Welcome to the 3rd Countdown day for the October MFT Release. 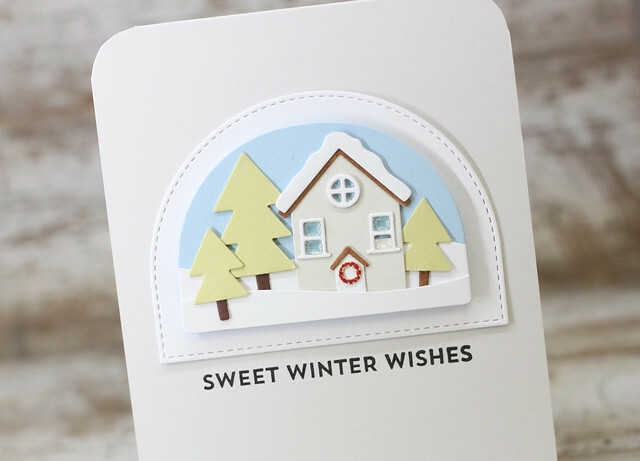 Today I am sharing a card using Snow Globe Sentiments and the Snow Globe Die-namics. First, I cut one of the Stitched Arch STAX dies and put it on the card base. I stamped the sentiment underneath. Next, I created the little scene with the snow globe scene dies. It was so easy to put the house and the trees and the snow together to create a fun little winter scene. I added Glossy Accents to the window to create the look of glass. The new release is going to be available on Tuesday, October 3rd at 8pm CST. Check out the MFT Blog for more details and for more sneaks from this amazing release. There will be lots more to see this month. Stop back by tomorrow to check it out. 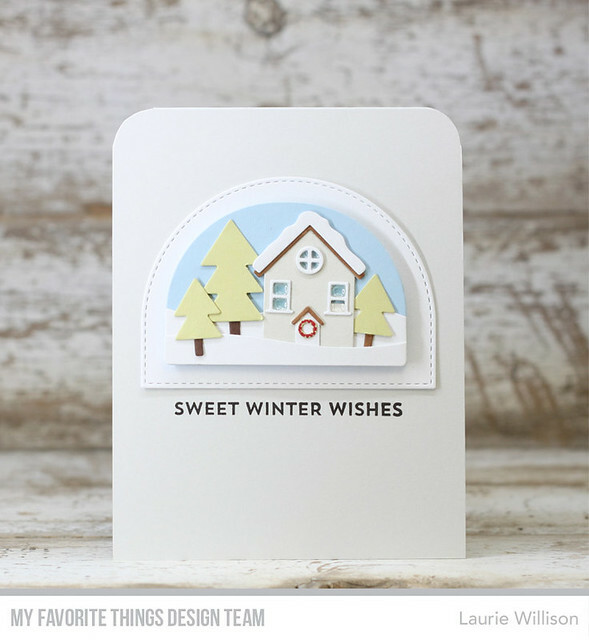 For now, head on over to the MFT blog to see what the rest of the DT has for us. Thanks so much for stopping in! Hello there! It's Wednesday and time for a new sketch over at MFT! I used a little creative license with this weeks sketch, which you can see below. To create the main panel, I did some masking and then some sponged in clouds. 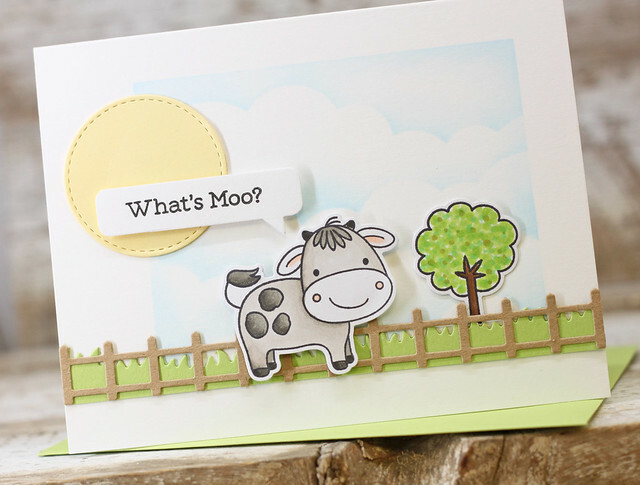 I added grass and a fence for the vertical panel along the card front. To add in the circle portion, I added in the sun and sentiment. I used a few Copics to color up the tree and that adorable little cow. I hope you can play along! 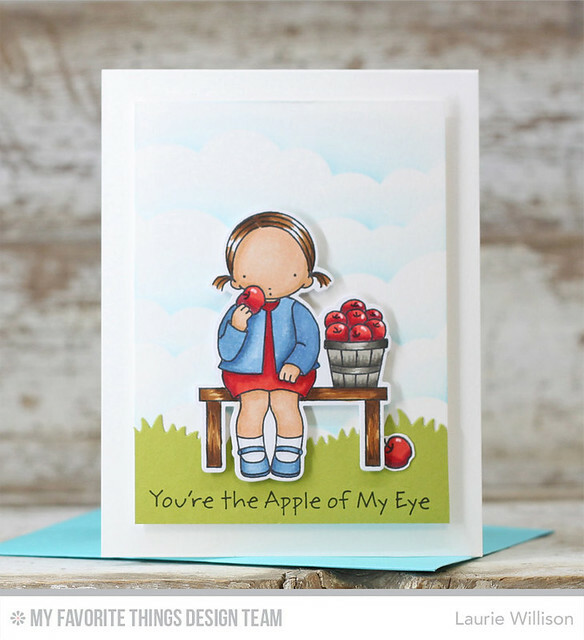 Head on over to the MFT Challenge Blog for all the details! 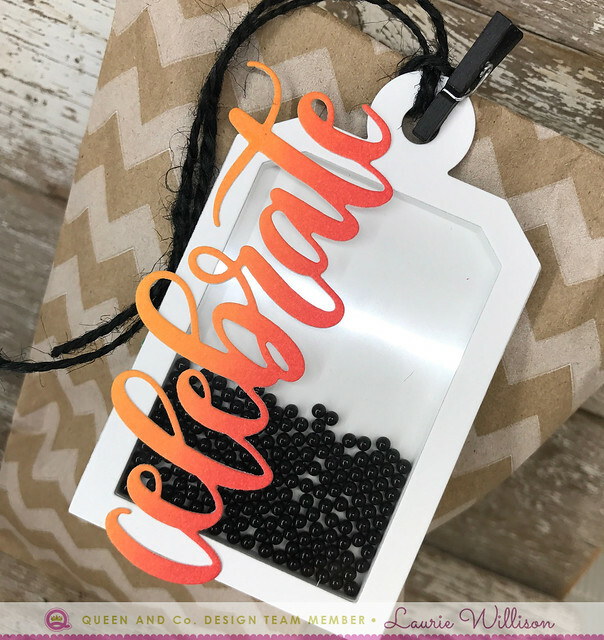 I used the Shaped Shaker Tags to create this project. I assembled the shaker box with a kraft tag die cut on the top. I added the orange diamonds from the Primary Diamonds Toppings set and also added in some copper pearlies from the Matte Pearlies Toppings set. I used some die cut leaves from MFT around the tag frame and then added some ribbon, twine and a little glitter gel pen on the leaves, to finish it off. 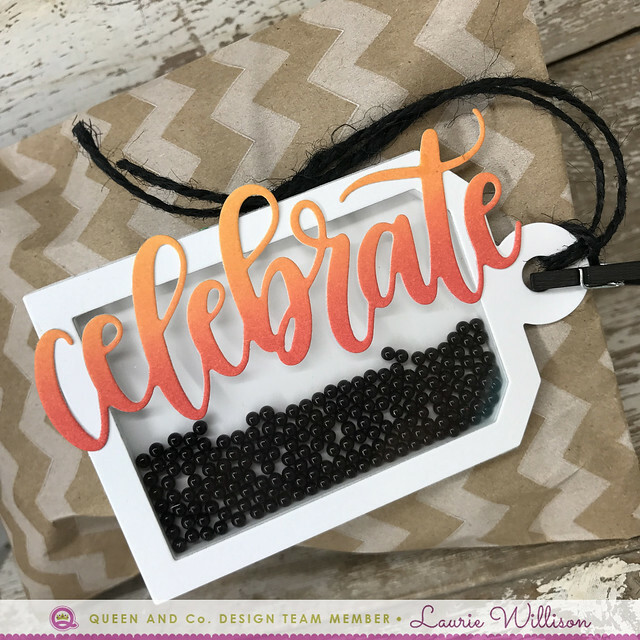 For this tag, I used a glitter washi and a black mini washi to add a little decoration to my green tag frame, I created the shaker box and added the matching washi to the inside of the tag. I used Black Pearlies and Orange Bubbles to fill the box. 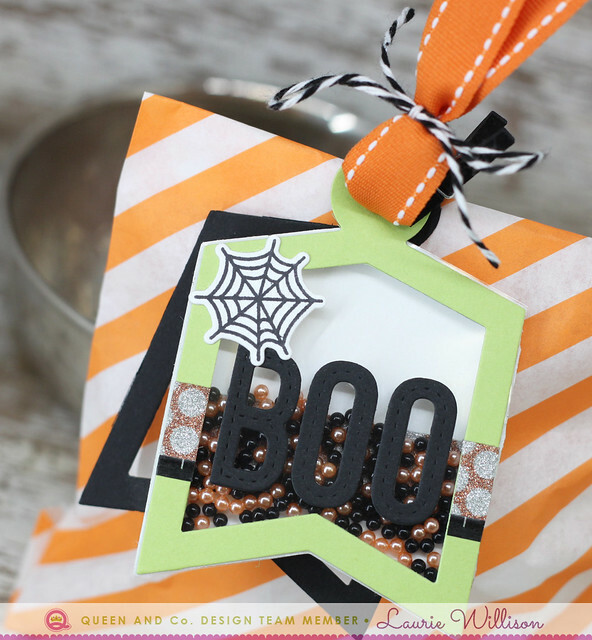 I added a couple extra touches using MFT's Fab-BOO-lous Friends spider web and the Stitched Alphabet dies to add the word BOO to the acetate part of the tag. I also added in some orange ribbon and black twine. I die cut one black tag frame and attached that to the back of the frame, just for another fun detail. So this is it for me today. 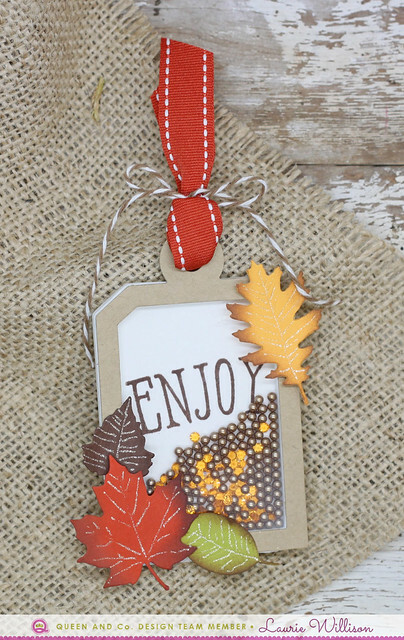 I hope you have enjoyed my fall themed tags. 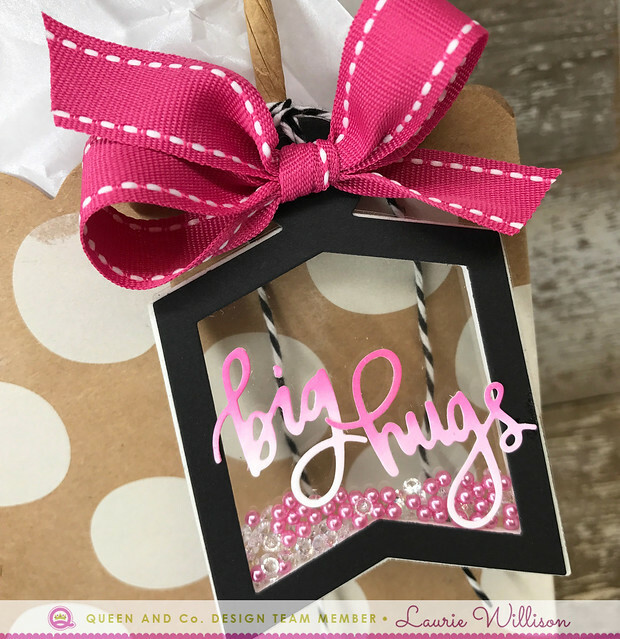 These shaker boxes are so much fun and add so much pizazz to your cards and gifts. 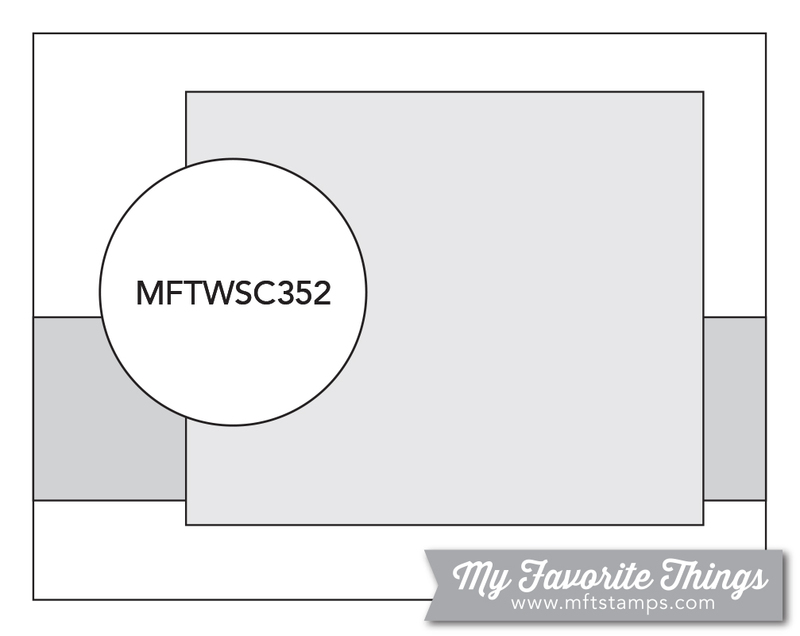 I am stopping in today with another post using the most adorable stamps and dies from Whimsy Stamps! If you follow my blog, you know I like simple. Quick and easy, clean and simple....its my favorite! I also like to mass produce things to use. And when mass producing, if its clean and simple? Its the best! I also love rainbows! So mix those 2 things together and I'm in! 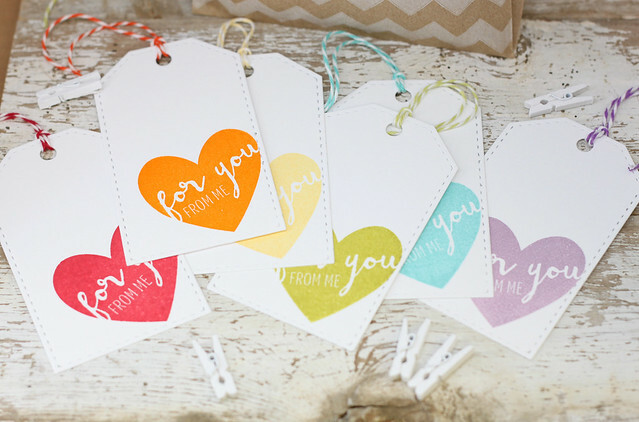 :) Today, I created a very quick set of tags using one image from the Whimsy Handmade from Me set. 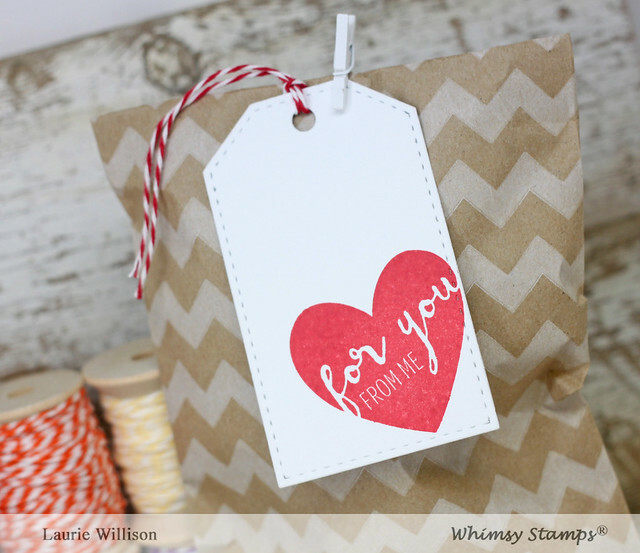 I chose the heart image that says "for you from me" and created this simple tag. It would be perfect for Valentines Day! 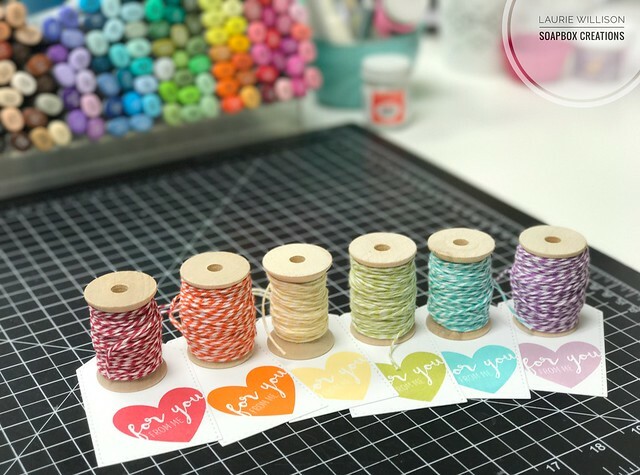 I stamped one heart on each of the Stitched Tags using the Misti, which of course makes it easy and quick! 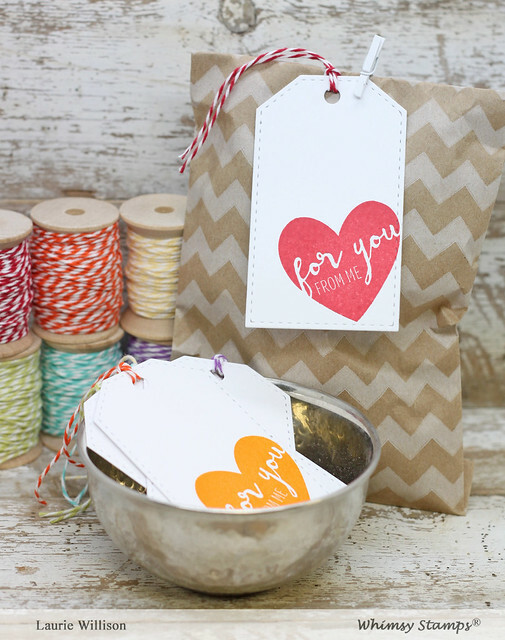 These tags can be tied to gift bags, clipped on little gift bags, taped on a package. The possibilities are endless! I found coordinating twice to go with each tag so they are gift ready! So glad you stopped in today! Hope you are having a great day! Hello there! 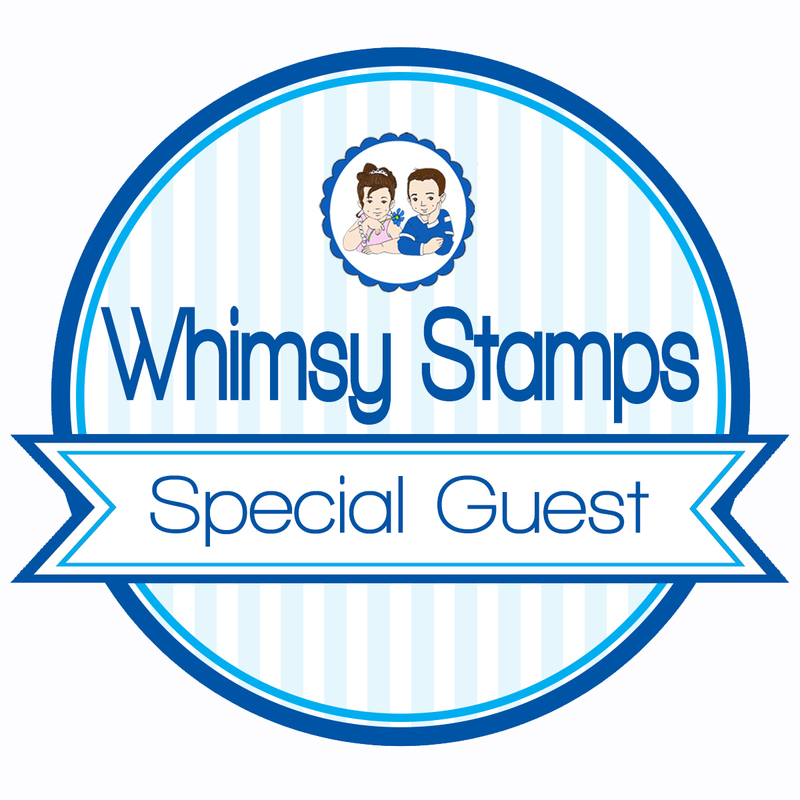 I am stopping in today with my first post as a guest over at Whimsy Stamps! 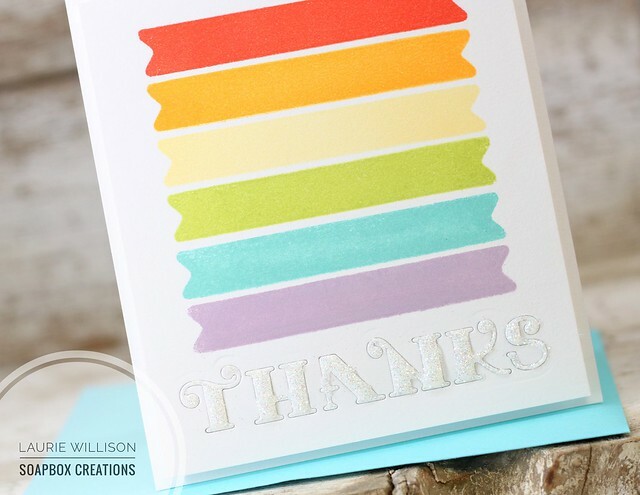 I have a clean and simple rainbow card to share today, using Bold Banners and the thanks die from Card Builder Many Thanks Dies. 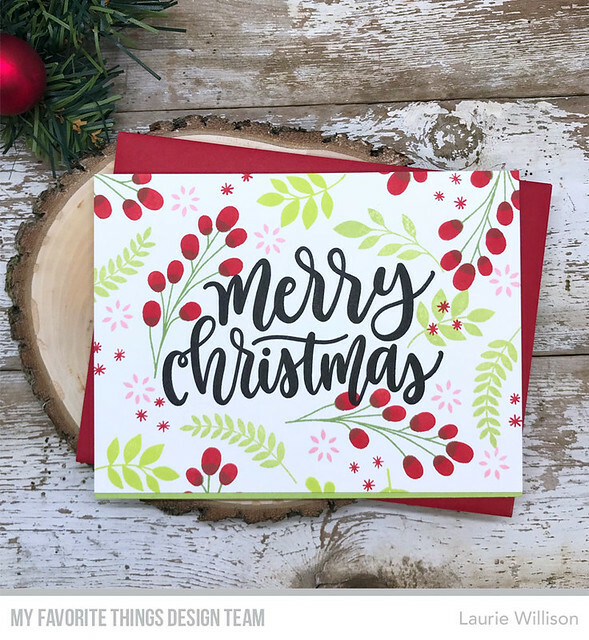 To create this card, I picked out a rainbow of Fresh Inks...Tomato Red, Tangerine, Buttercup (Amuse Studio), Celery, Teal and Silver Lilac. I used the back of the "Congratulations" stamp to get this solid banner image. With this solid image, it is very easy to line up and stamp twice if you don't get the color you want with the first image. 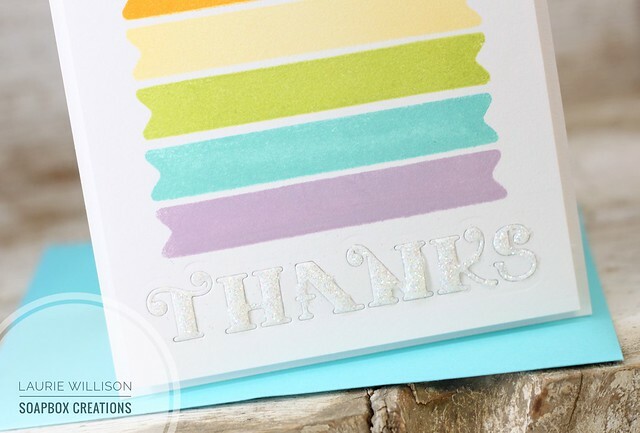 At the bottom of the card, I added in the "thanks" die. I went for a glossy accents look and then realized that it needed some sparkle, so I went over it with some microfine glitter. When using Glossy Accents on thin letters like this, I take a pin and push the glossy accents around to cover all the smaller areas. Last, I cut down the card front and then added it to a white card base. 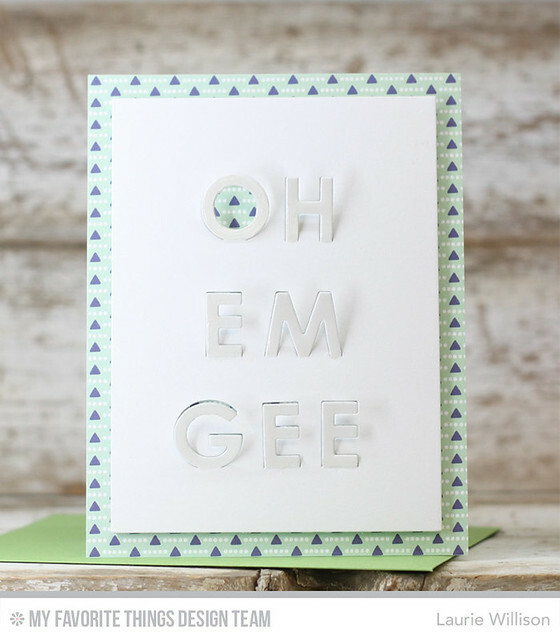 So that is it for my super simple Whimsy card for today. I have more to share this month so stop back by soon! 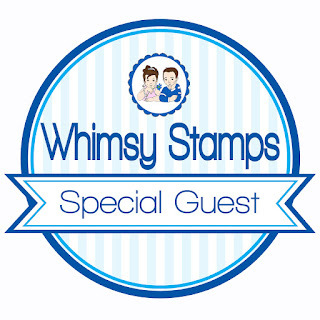 Whimsy has an amazing line of stamps and dies, along with digital stamps and great promos on shipping and gifts with purchase. Head on over to their shop to check it out! 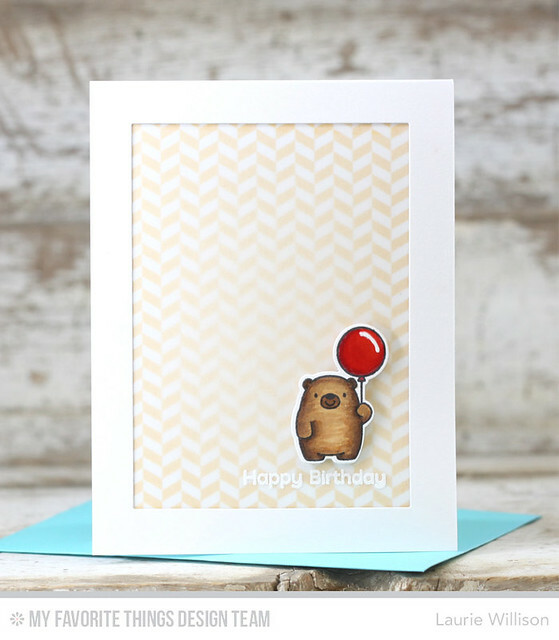 First, I attached the Split Chevron Cover-Up to the card base. Then I stamped several of the Rustic Wildflowers in fall colors and attached them to the card front. 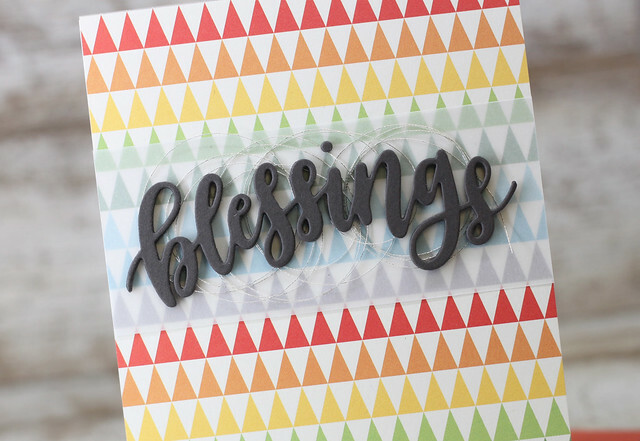 Last, I die cut the blessings die in craft paper and did a little ink blending on the bottom. 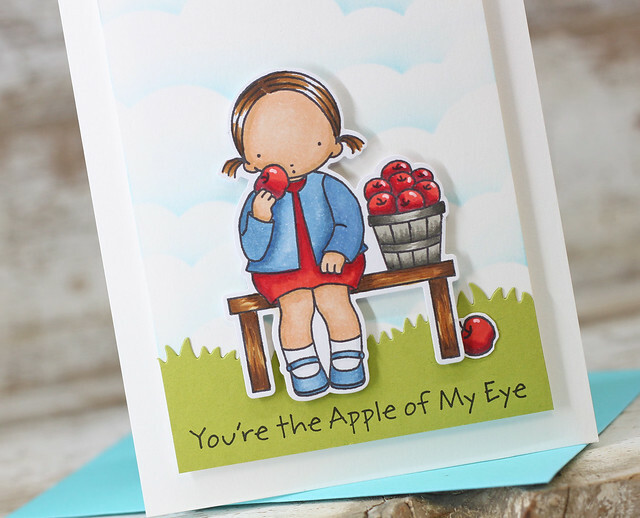 There will be lots more September Release inspiration over at the MFT Blog today so check it out. Thanks so much for stopping in here! Have a great day! 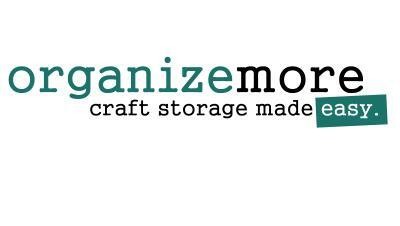 Hey crafty friends! 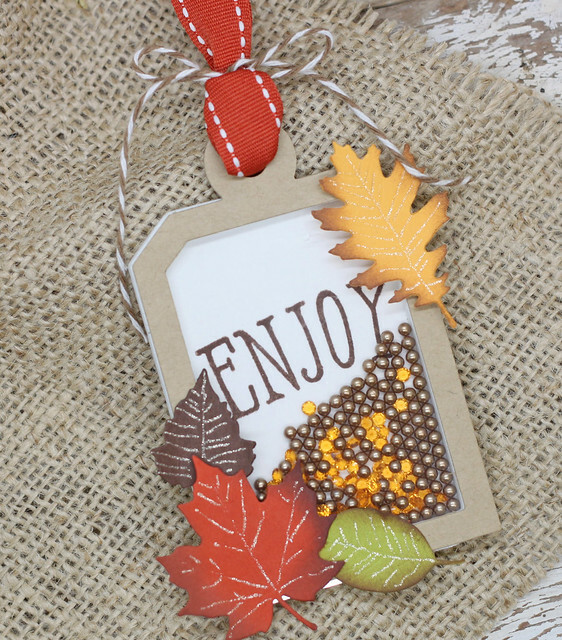 I am stopping by today to share a couple of tags with you using the Shaper Shaker Tags kit. I filled the inside of the box with diamonds....of course....and then Pink Pearlies. I added the back of the tag with the 2nd acetate window to create a see through tag! Last, I did a little ink blending and added the sentiment on the front. 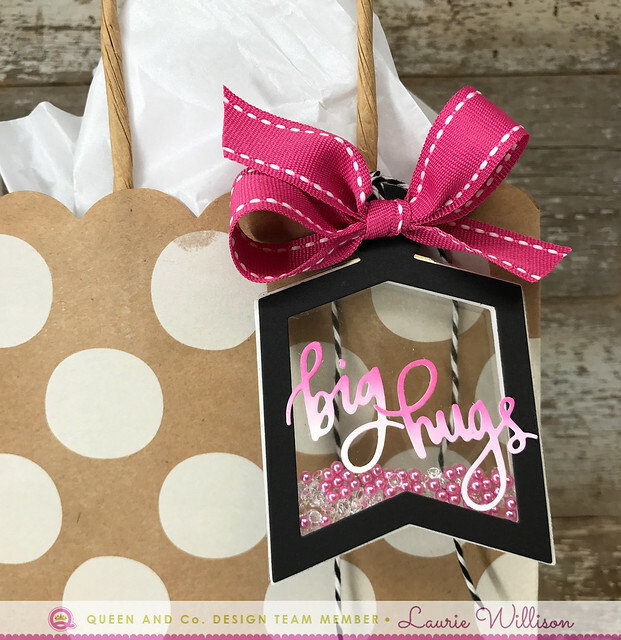 I tied the tag to the bag with twine and then added in a big pink bow to finish off the gift. My next tag is another one that is easy to create. I used another tag foam box, a piece of acetate, I die cut a white tag frame and then fussy cut another tag for the back of the frame. I filled the inside with Black Matte Pearlies so they would pop against the white tag. I did some more ink blending and then attached this celebrate die on the top. I used some black jute and a black mini clothespin to attach it to my little gift back. I love how the color really pops against the white. The great thing about Queen kits is you can buy refills. So if you run out of foam tag boxes, you can get more from the store. Click HERE to see the tag refills. Queen has lots of kits to chose from. Check out the selection of shaker kits HERE. I hope you have enjoyed my tags. 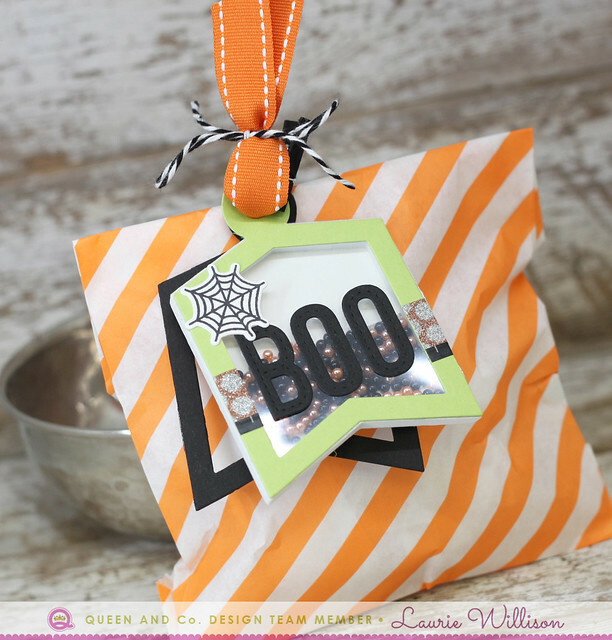 They are so easy to recreate so grab your own kit today and start making some shaker tags! So glad you stopped in. Have a great day! Today is Release day over at My Favorite Things. 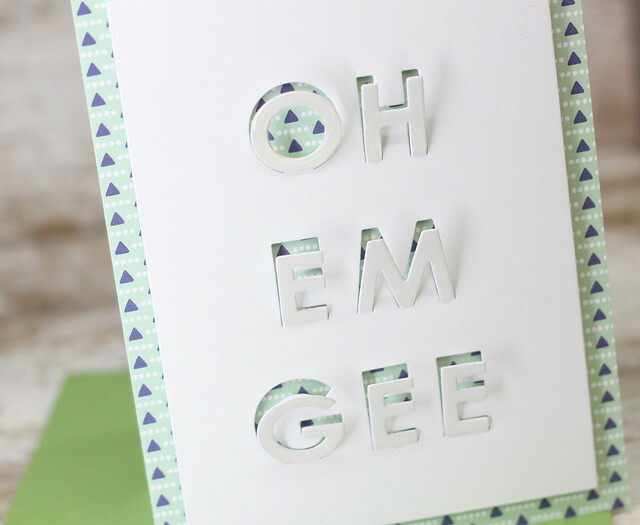 This month's release has so many fun new stamps and dies. I saved my most favorite die for today's post. 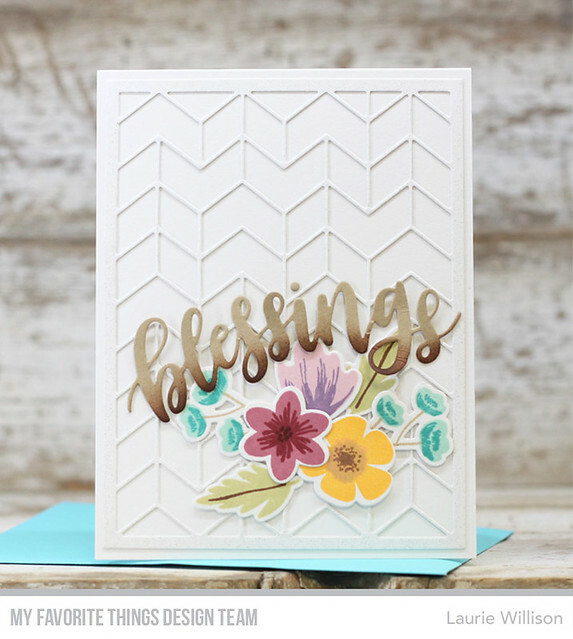 It's one of 2 Blessings dies that are available right now over at MFT. I took my favorite piece of patterned paper from the Fun and Frolic paper pad....can you tell why I love it? All the rainbows! 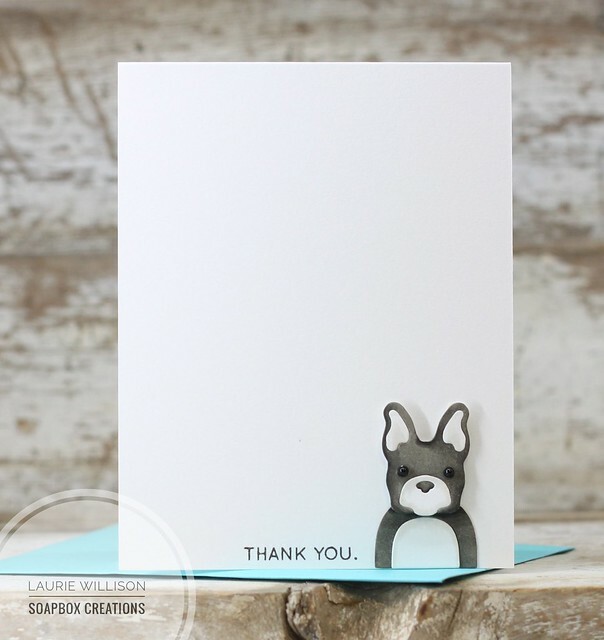 I used it to cover a white card A2 sized card base. Next, I cut a strip of vellum and added that to the front. The vellum going down over the patterned paper really helps the die cut pop. 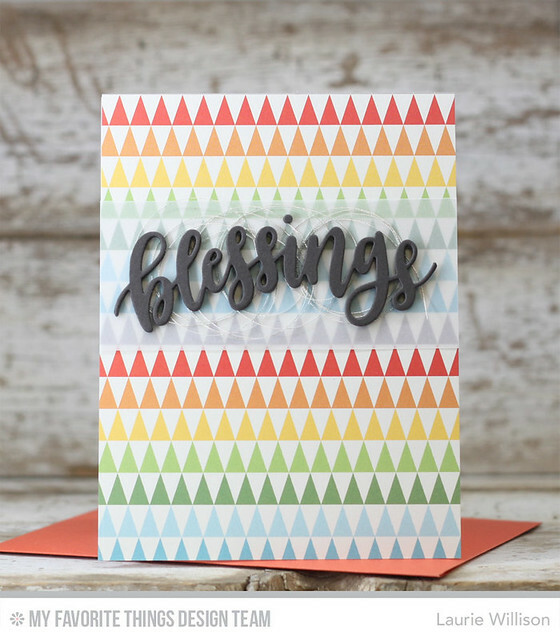 Next, I took 4 "blessings" dies cuts in Steel Gray cardstock and stacked them up. I used some silver thread in between and then attached the blessings die to the card front. 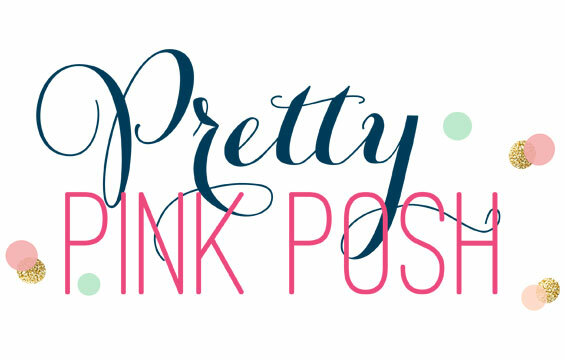 I just love this font. 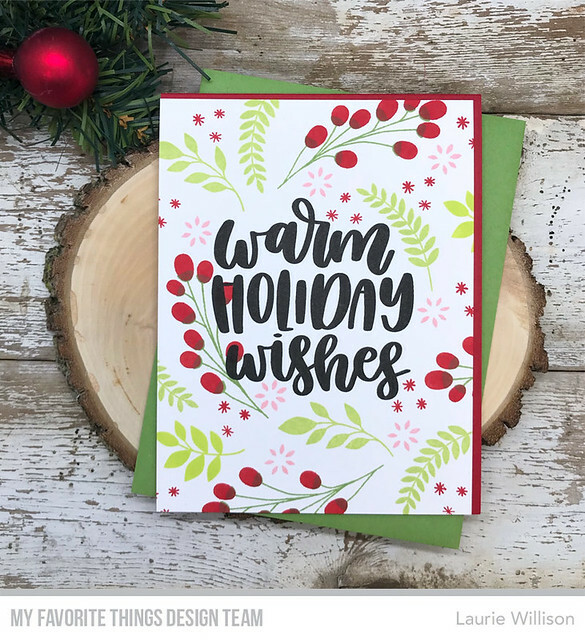 That is a beautiful word and makes for the perfect simple card to send out during the upcoming holidays. There is lots more to see over at the MFT Blog. Do you have your shopping list ready? I can't wait to hear what your favorites are so let me know in the comments below. 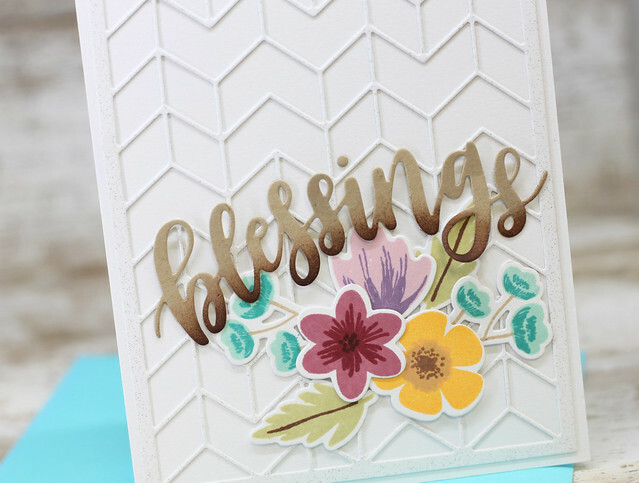 I took a piece of patterned paper from the On-Point Paper Pack and covered a white card base. Next, I took one of the rectangles from the A2 Rectangle Stax and cut a panel for the card front. I lined up the "oh em gee" and taped them down . I covered each letter with some glossy accents for a little added detail. And done! 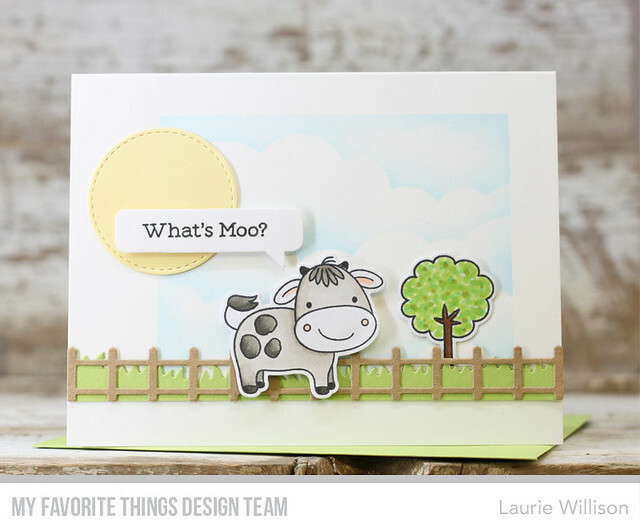 I did a little cloud stenciling in the back with MFTs Cloud Stencil (that may be the greatest stencil ever....) and then added a little grass with the grassy hills die. Then I did a little coloring and some shading and some more shading....and then added her to the card front with some foam tape for dimension. This card was super simple to make. 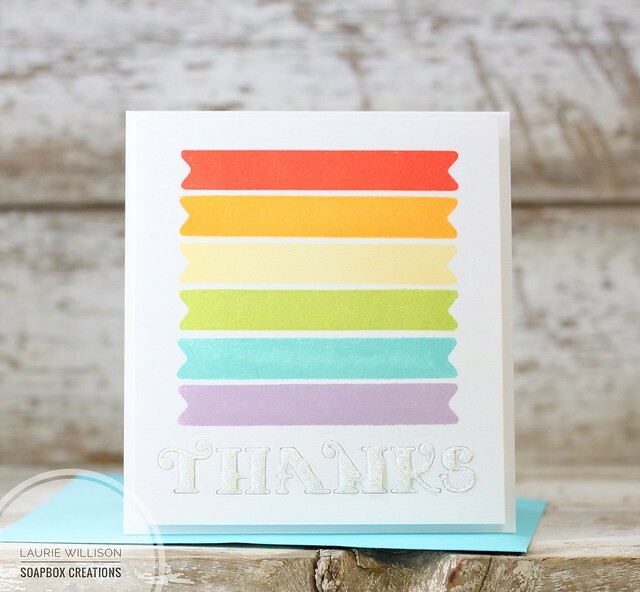 I used the new A2 Rectangle STAX set to create a large window in a white card base. Next, I added a layer of vellum behind the window or inside the card. 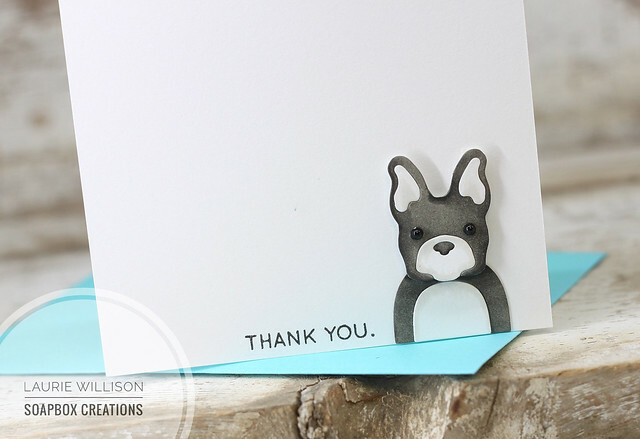 Next, I head embossed the sentiment and added that cute little bear to the front. Last, I took a piece of patterned paper from the MFT Fun and Frolic paper pad and layered that behind the vellum. 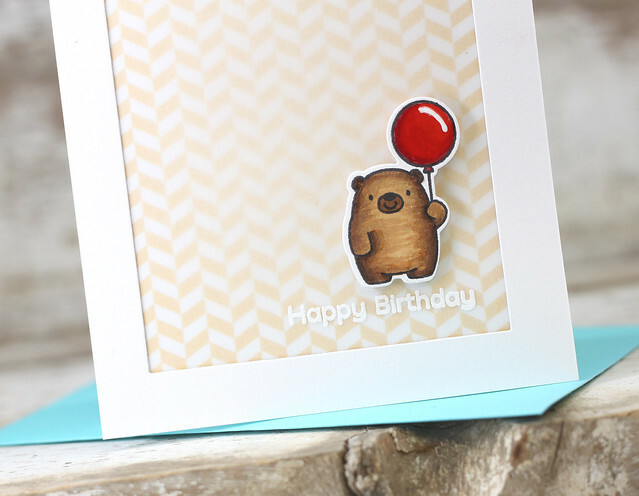 It added color to the card, but the vellum mutes it a little so that little bear really pops. I have more to share tomorrow so I hope you will stop back by! Thanks for stopping! 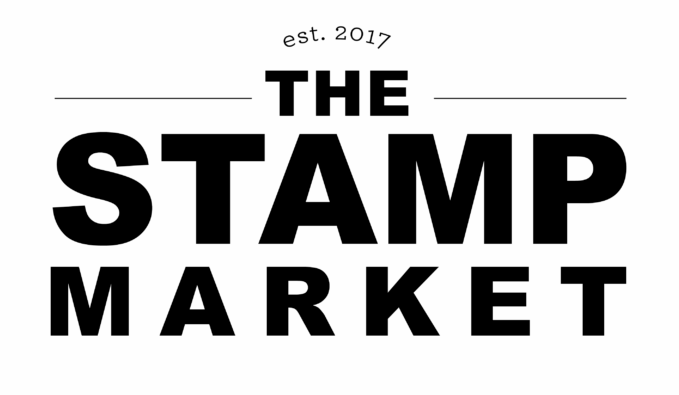 It's STAMPtember over at Simon Says Stamp and they have lots of cute new stamps and dies available today! Click HERE to do some shopping. He was so easy to color with Copics and then I popped him up on a card base and added a sentiment. Easy peasy! Head on over to the Simon to learn more about this months festivities or click HERE to head on over and see the new goodies. Lots of fun to be had this month!